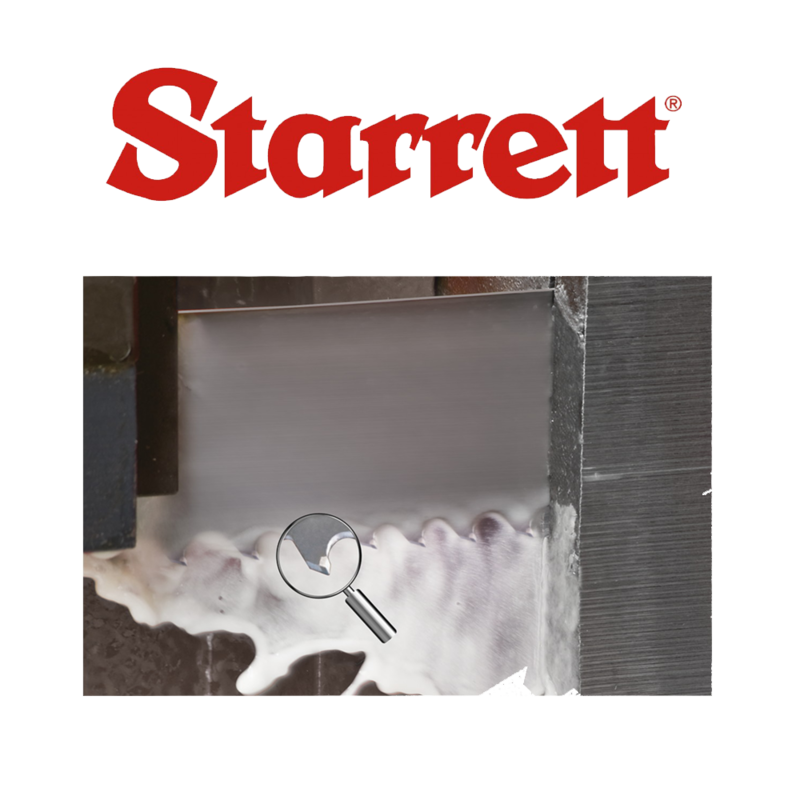 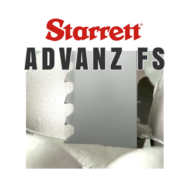 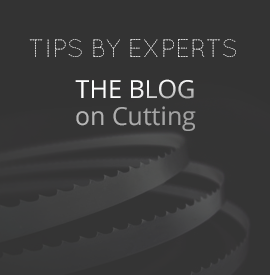 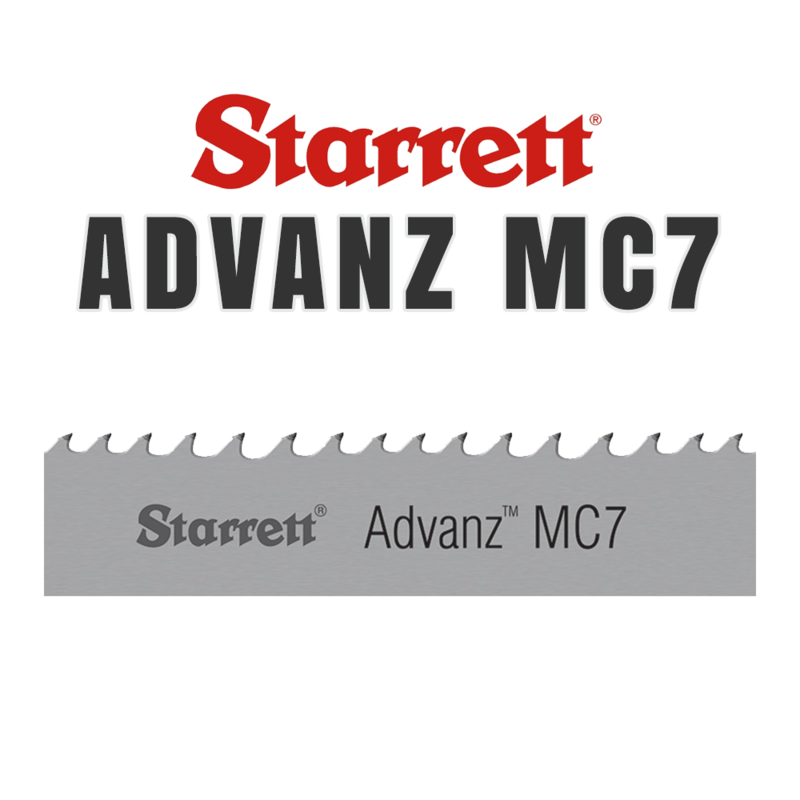 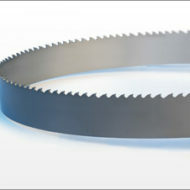 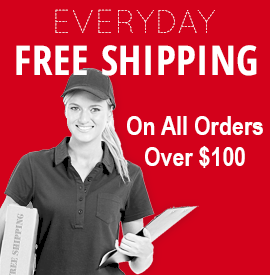 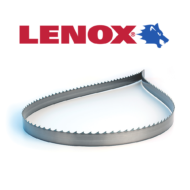 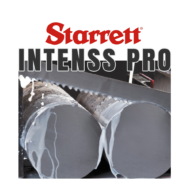 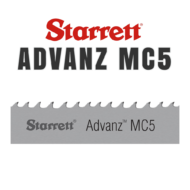 The Starrett Advanz MC7 carbide tipped bandsaw blade utilizes a progressive four tooth grind that results in less wear htan the conventional triple chip technology. 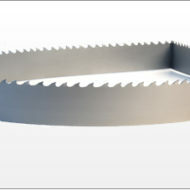 This blade will create 7 distinct chips. 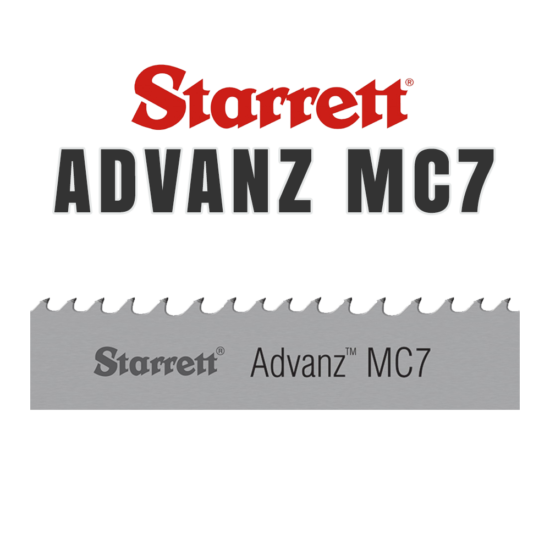 This MC7’s four tooth grind is very effective on stainless steels, nickel alloys, and “tough to cut” tool and heat-treated steels.